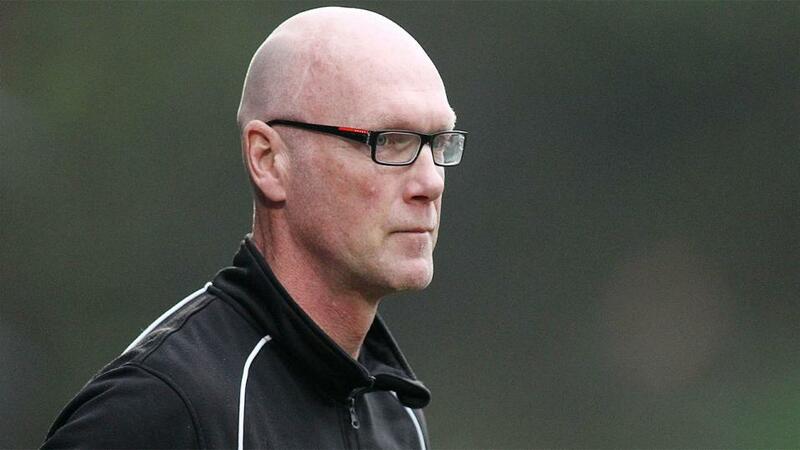 "On the field, boss Neil Aspin is keen to offer players new contracts to Port Vale players. Those up for contracts next summer include top scorer Tom Pope, Luke Hannant and Manny Oyeleke." There's value in backing a few lowly placed teams teams this week. Jim Bentley might be bemoaning his injury list. And the club have made an unusual announcement that wages have been paid. While James Sinclair will still be out for a while, and Zak Mills is having as hernia operation, Andy Fleming, Aaron Windig and Rhys Oates, their joint top scorer, was out recently too. He'll hope some of those recover and that he doesn't have to use a back three again like against Notts County. However, he knows he has Garry Thompson, aged 38, and winger Kevin Ellison, 39, but he can't rely on them for ever. Or even, perhaps, to start a match regularly. They both came on as substitutes as they came from behind to draw with the Magpies. Forget the defeat to league leaders Milton Keynes. It's not a fair fight of resources. But if Bentley really believes that his troops are lower in the league table than he thinks they should be, then they have to prove it with a win at home to Port Vale. The Valiants will want to put the midweek chaos of the 4-0 win over Stoke in the Football League Trophy. Not on the field. Off the field, with serious damage to the away end and fans forcing stewards to be withdrawn from some areas for their own safety. On the field - almost - boss Neil Aspin is keen to offer players new contracts. Those up for contracts next summer include top scorer Tom Pope, Luke Hannant and Manny Oyeleke. Leon Legge is still out injured, and while they do have decent form of two wins, two draws and two defeats in six, the visitors had only scored four away goals before their 3-0 win at Yeovil. I'll be taking the chance on the hosts and going for over 2.5 goals at [2.34], because there could be a few mistakes. If Grimsby were away to Colchester I might accept the respective prices on either side. But even then I might give the visitors more credit than their price suggests. This might be the time to ride the crest of the wave that the Mariners are on. They have not only won two of their last three League Two games, drawing the other, but have been buoyed by reaching the FA Cup third round, with a trip to Premier League Crystal Palace to look forward to. They got there not only be beating non-league Chesterfield but by defeating league leaders Milton Keynes. They don't have the greatest away record as it happens, but there's no denying they are on a roll after their 5-2 demolition of Tranmere a couple of weeks ago. There were five different scorers, too, which would be a nicer conundrum to factor had any of their scorers netted more than three goals! Wes Thomas leads the way, while a cluster on two includes Charles Vernam and Mitch Rose. Elliot Embleton has been in top form while on loan from Sunderland. At least Cheltenham have Chris Hussey, on loan from Sheffield United, to try to counter him. However, they are not in the finest of form, having lost 4-1 to Bury last time. Their previous matches were both victories but over out-of-form Newport and bottom of the form table club Notts County. So I'll not be backing Michael Duff's men, who are below their visitors - by a couple of points - even if Tyrone Barnett has hit a bit of form with two goals in three matches. I could go for the draw, but I'll be taking the chance on the big price of the visitors. Tranmere's return to the Football League has gone pretty well, but then they have an experienced manager in Micky Mellon who has been through the transition from non-league with Fleetwood Town so successfully that he took them into League One pretty quickly. His side might like doing things the hard way in the FA Cup, twice being held at home to replays by non-league sides - and now they have the second game at Southport to negotiate next week with the carrot of a home tie with Tottenham. Distractions, distractions...in the run-up to Christmas. But what Tranmere do have is a great record in League Two this season at Prenton Park - just one defeat, six wins, three draws and a 13-4 goal difference. They've drawn with draw specialists Oldham most recently on home soil, and before that beat a quality Exeter side and thrashed Crawley. So James Norwood will be chomping at the bit to add to his 14 goals, with Paul Mullin finding his form recently too. The hosts' price is rather surprising, given Cambridge's recent struggle for form and the sacking of their manager. It came as little surprise to me that they dispensed with Joe Dunne's services, although quite what he is supposed to do with limited resources and a long injury list I don't know. And what his successor - as yet not appointed - is supposed to do with the same players is anyone's guess. Different personalities do make a difference of course and the next manager will be lined up in time to take advantage of the January transfer window. For now, Mark Bonner must pick up the pieces and hope to inspire the fit again Paul Lewis and also Paul Taylor, who both scored in the fighting 2-2 draw with Bury, to greater heights. Ironically, the U's seemed to have picked up a but with three wins and two draws in eight games, but the abject first half in the FA Cup defeat at Guiseley and the insipid 2-0 defeat at Crewe ensure Dunne's time with the team near the foot of the Football League was up. The three teams below them had already changed their manager. One of those teams twice. George Maris will hope to impress, as leading forward with three goals, while Jevani Brown has netted four times to become top scorer. That tally simply isn't good enough if they are going to stay up - and this game looks like it will be another difficult one.